I am writing a stress management course right now and I was reminded of a few things as I tapped into my subject. Stress is a very real problem in today’s world. I think that we can often get so caught up in trying to define our future, that we simply don’t notice our stress responses in this moment. If unchecked, prolonged stress can lead to something called adrenal fatigue where your cortisol and adrenalin hormones become depleted. This will leave you feeling exhausted. Unfortunately, it can take months to years to recover from adrenal fatigue, so the best thing is to not get to that point EVER. 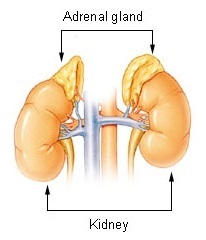 Cortisol and adrenalin and negative hormones, but we do need them. What we don’t need is to have them surging through our bodies continually. On our quest for success, we may ignore the signals that our bodies are desperately trying to give us. Whatever we do, we must always aim for BALANCE. If you work hard, make certain that you take time out for play and relaxation. If you find it hard to switch off, as I do, then take up something like Yoga, Meditation, Mindfulness practice, Tai Chi, Qi Gong etc, anything that enables you to switch off and helps you connect your mind and your body. I truly believe that it is easier to become successful when you are balanced. It is easier to focus and the efforts that you do make will be more productive. ← You will fail if……..
Good points, Jan, and might go some way to explaining the ‘man flu’ I’ve been suffering from for the past couple of years. I guess more of us should be making a bit of relaxation more of a priority ?